To purify the body from the disorders which both engender and result from sin, a system of worship is gifted in revelation, which culminates in the placing of the forehead, the symbol of human pride and of self-oriented thought, upon the earth. The tongue ‘gives charity’ by praising God, and by speaking words of reconciliation. The hands do so by working to earn a lawful income, and by striving to right wrongs in society. Taken together, the purifying ‘charity’ offered by the parts of the believer’s body always has a social impact, the highest aspect of which must be to ‘establish justice’, not only by avoiding unbalanced temptations, but by working to establish a political order in which justice is safeguarded. Political work is thus conceived as a sacrifice. Never is political authority ‘sought’, in the conventional profane understanding, for a hadith says: ‘Do not seek political power, for if you obtain it by seeking it, it will be given power over you.’ This refers to a selfish, egotistic pursuit ('ir|) of power, rather than to the selfless seeking of power for the sake of the establishment of justice for others. The model is the Prophet, who endangers himself in order to establish God’s justice in a feuding Arabia, and who ends his life in holy poverty, despite the advantages he could have gained from having been born into the aristocracy. (3) I have forbidden injustice for Myself, and have made it forbidden amongst you, so do not oppress one another. The Prophet, as a saintly being who has ‘emulated God’s qualities’, must manifest His justice as well as His mercy. Here Islam and Christianity tread very different paths. The Christ of the Gospels, despite incidents such as the ‘cleansing of the Temple’, preaches a passive witness; the Prophet of Islam also receives persecution patiently, but also strives to establish justice politically, with a mercy that may come through rigour. No doubt this is not the result of a deep clash between ideals, but rather is the consequence of incommensurable contexts: Islam, too, advocates non-confrontation when oppressed by a massively powerful empire; and Christians have moved away from the pacifism of the Gospels, fearful of the consequences of failing to control tyrants. Yet in the founding stories the differing emphasis is clear. Some Muslims have regarded this as grounds for reproach: according to Shabbir Akhtar, ‘a Muslim face to face with a Pilate would have given the Roman chap a lot more to do than merely wash his hands’; a view that neglects the cautious stance of classical Muslim jurists over resistance against overwhelming odds. But a characteristically Muslim optimism about the reformability of structures is also, no doubt, at work. (5) God’s messenger said: ‘Whoever sees something he dislikes in his ruler should be patient, because whoever leaves the community [jama‘a], even by one fraction, and then dies, has died the death of the Age of Ignorance [jahiliyya]. This hadith forms part of a substantial body of revealed texts which seem to insist on political quietism in the face of misconduct by rulers. Unsurprisingly it lay at the centre of a storm of controversy. Most Sunni scholars maintained the view that once a caliph had been chosen (ikhtiyar), it became unlawful for Muslims to rebel against him. For the Hanafis (the most widespread school of law), ‘if the ruler is oppressive, or corrupt, he is not to be deposed,’ the reason being the fear of civil war (fitna), which had been the besetting evil of the Age of Ignorance before Islam. This quietism was resisted by the Mu‘tazilite and Kharijite sects, by many Twelver Shi‘ites, and also by some Shafi‘i Sunnis. The institutional separation of the ulema class (ahl al-qalam) -- who were funded by their own mortmain endowments (awqaf) -- from the ruling family and its military formations (ahl al-sayf), which reached its peak in the Ottoman theory and practice of religious statecraft, nonetheless gave the preachers the duty of condemning the sultan’s abuses, and defending the interests of the poor and weak. 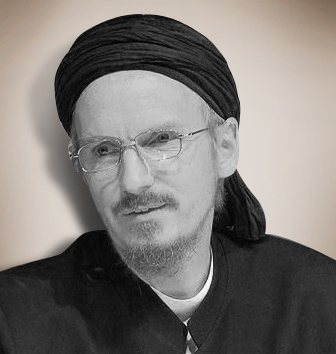 In the late twentieth century the classical Sunni view came under fire from radical reformers. Khomeini, departing from Sunni and Shi'i tradition, advanced a theory of governance by the religious scholar (vilayet-e faqih), while in the Sunni world individuals frustrated by the religious establishment’s reluctance to challenge abuses by post-colonial regimes repudiated the old quietism, and advocated militant struggle against governments which, they held, were answerable to Western powers rather than to the values of their own subjects, and were hence unworthy of Muslim allegiance. Typically, and ironically, it seems that this sea-change in Muslim political thought is the result of Western influence. The tension between justice and forgiveness is given an iconic representation by this account of the Blessed Prophet’s approach to the defeated Meccans, a moment which is the political culmination of his career. The Meccan elite had sought to assassinate him, and to eliminate his fledgling community in Medina. Now helplessly in his power, they must have expected annihilation, in accordance with the accepted Arab principles of vendetta. Instead, they are freed, and are not taken to task for their actions. Even Hind, wife of the Meccan leader Abu Sufyan, a woman who had paid for the assassination of the Prophet’s uncle Hamza and had then chewed on his liver on the battlefield of Uhud, was not punished. Instead, the Prophet chooses to quote Joseph’s words, spoken as he forgave his errant brothers who were finally in his power in Egypt. Major symbolic moments in the history of Mecca are often given eschatological significance. The city itself is a sanctuary (haram), declared such ‘on the day God created heaven and earth. As such it stands a little outside human justice. For many jurists, those who seek asylum in its mosque may not be dislodged, whatever their crime. And the Hajj is clearly an anticipation of the Judgement, when all shall congregate to stand before God. Muslim eschatology represents the same tension between justice and forgiveness. On one hand, it insists that ‘whoever has done an atom’s weight of good, or evil, shall see it,’ (Quran 99:7-8), for ‘there is no injustice on that day.’ (Quran 40:17) Yet on the other hand, justice is tempered. The principle that God’s mercy outstrips His wrath dominates the scene, and, as with the conquest of Mecca, the figure who represents the inclusion of forgiveness in God’s justice is the Prophet. Just as he offers an amnesty to the sinners of Mecca, Muslim orthodoxy believes that he intercedes for humanity before the judgement seat. Terrified of God’s justice, humanity takes refuge beneath the Prophet’s banner, since he is the only one who is not saying ‘Myself! Myself!’ Instead, he cries, ‘My Lord! Save! Save!’, and the strict application of God’s justice appears to be set aside, in favour of mercy. The Mu‘tazilites, preoccupied with justice above all other divine qualities, were obliged to reject these hadiths. But for mainstream Sunni sources, it is thus, supremely, that the Prophet becomes ‘God’s Beloved’ (habib Allah). The first is clearly not sufficient; or the second would not have been mentioned. Islam’s is a god of justice, but also of mercy. The extent to which the latter virtue can override the former in political life can only be defined in a very limited way in books of law. In Islamic legal culture, which grants the judge more discretion than the heavily statutory jurisdictions of the West, the judge has much room for mercy. In the Religion of Wisdom and Compassion, which deeply trusts human beings, it is no surprise that he should have been given this privilege. But his responsibility is grave, and if he is to escape God's own Rigour, he must first defeat his ego. Sufism, the schoolroom of the selfless virtues, thus becomes the most fundamental juristic science.